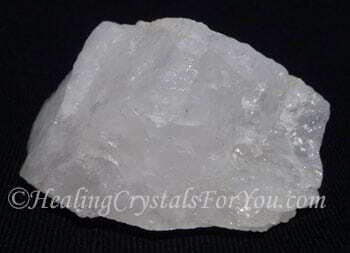 Azeztulite® is a white variety of quartz. It has a quite interesting vibration, and it is said to be connecting those who use it to beings in other dimensions. This white stone has been named after a group of interdimensional beings called 'the Azez', that were said to have made a connection with those who named this stone. The people who discovered this stone said they made contact with these beings and brought information about it to the attention of the world. It is said to have an unusual vibration, believed to be caused by the changes made to the stone, by these beings of extra-terrestrial origin, and many people find its side effects a little unpleasant at first. Where Does White Azeztulite® Come From? This crystal is a type of white or opaque quartz has been found in North Carolina and it is also said to be the same stone as a white quartz found Vermont in the USA, and there now seems to be new colored varieties. 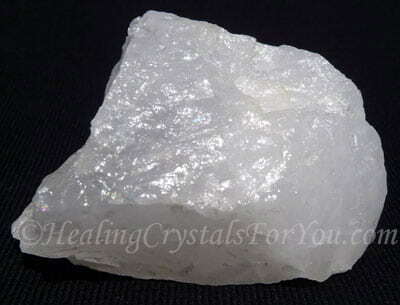 My White Azeztulite® quartz that has been in my possession for about eight years or more, is very light and bright and some of my white stones are more translucent than others. If you look at the photos of these stones, you will see that some of the stones seem to be almost shiny. This crystal's name was the creation of the writer of a number of crystal books, and the history of the Azeztulite® stone is interesting. 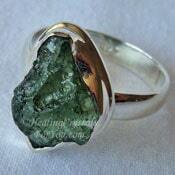 The story of this stone comes from a book on crystals called 'The Book of Stones'. This book was written by Robert Simmons and Naisha Ahsian. This book tells us that back in 1991 Robert Simmons had a call from Naisha Ahsian whom he did not know well then, asking him to make a piece of jewelry for her. 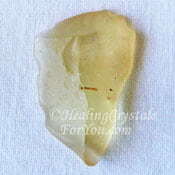 One of the stones in the piece was the White Azeztulite® stone. He had not heard of the stone, but after searching widely, a box of stones came in the mail, from a stone collector, which turned out to be the stone they were seeking. The information on this stone had been channeled to Naisha. It is said that it came from beings called the Azez, in a direct telepathic link. The Azez told her that they had altered some specific quartz crystals on this planet, to act as a communication device for them, for inter-dimensional travel. Later more information came through on these stones and their purpose, through the spirit guide Radha. Azeztulite is moving to a higher level of functioning, as the vibrations on our planet are gradually increasing. They said that people who wear or carry the stone, Azeztulite, are more likely to be able to move to, or achieve a higher state more rapidly and easily. The name Azez means 'Nameless Light', and the embodiment of this light is the Great Central Sun, and this stone is said to carry the manifest energy of the Great Central Sun. They said that the purpose of the stone was to anchor this light onto our planet, to help bring many changes to the planet. This would make this a very powerful stone for Light workers. I have a few pieces, and they have different vibrations, but the stone pictured here seems to have made a connection with me. 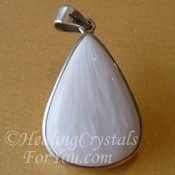 I have been told by others, with information on this stone, that each White Azeztulite® stone connects to your specific energy, and stores some sort of direct connection to you personally. I have had this piece for a few years, and now this piece seems to be changing, becoming clearer. It is a stone that more people have become interested in using, perhaps it is in response to changes happening in the vibration of the world. 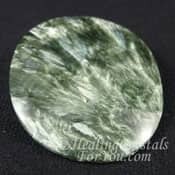 This stone has the ability to lift your spiritual growth quite quickly, once you decide you will work with its exacting energy. It creates a state of no mind, where you find you are somewhere else altogether for some time. Please note I have used the registered symbol ® after the stone's name as the name is owned by Robert Simmons and he insists on it! 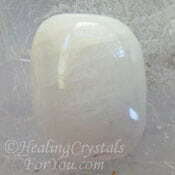 This white stone is a variety of quartz crystal. 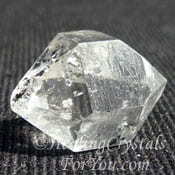 After you have read its history, you become aware of the potential of this stone. As expected, its vibration is much stronger than normal quartz. 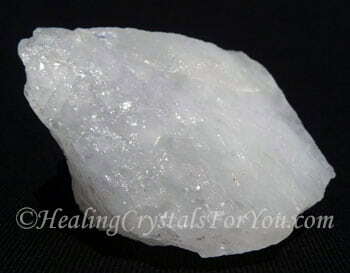 It is said to not need cleansing like normal quartz, as it does not absorb negativity, but personally I treat it like all my quartz and regularly cleanse it, as it is important to cleanse all of your crystals on a regular basis. Why Would You Use Azeztulite? 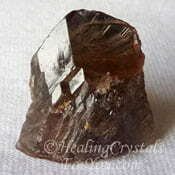 Azeztulite® has a vibration that is powerful within the third eye, and most people can feel it when it is used at this point. Many people have found they see glimpses of the future, spontaneously, when it is used at the third eye. Its vibration then goes up into the higher chakras, to the crown chakra and into the soul star chakra and higher transpersonal chakras. 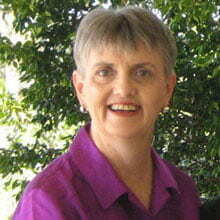 This movement of energy is like a surge of electricity through the body and can be felt very clearly. 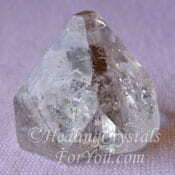 The energy of this stone is quite strong, and it is said to be able to stimulate the kundalini to rise up the spine. Awakening the kundalini can be a strong spiritual experience, so be aware that this stone is known to have potent abilities to stimulate your energy centers. Crystal jewelry made using a combination of different high vibration stones with strong crystal energy is a powerful way for light workers to advance their spiritual development more quickly. Azeztulite® combined in jewelry with Danburite, Moldavite, Phenacite and Tanzanite is one of the recommended ways to combine its energy. 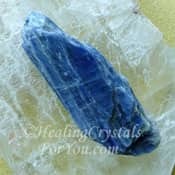 It is powerful to use this type of crystal in combination with any of the high vibration stones, and how you choose to use it depends on personal choice. You may obtain vials to hold tiny crystals so you may wear them, and change them as your needs require. When you begin to wear it, you may find that it is necessary to integrate it slowly into your personal energy field, or some discomfort may result. Like integrating Moldavite, it is best done slowly. This may depend on your specific reaction to the stones, so it is something each of you may need to work out for yourself. 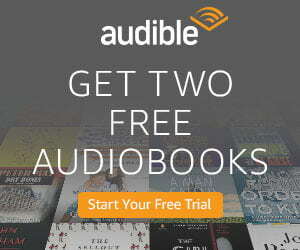 Many people who use it are infused with an amazing sense of deep joy, serenity and peace. I find that most quartz is fairly easy to feel, and if you can't feel it, it may simply mean that they have not yet learned how to feel the energy. 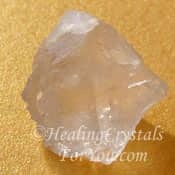 If you are able to use a white or clear quartz crystal, you will make major leaps in your personal and spiritual growth. I believe our earth needs these stones to be used to ground more light onto the planet, to aid it to traverse the major changes that all of us can see happening each day. 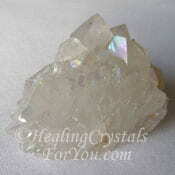 I know of a couple of people who have held one of these white quartz crystals and felt nothing. There could be a variety of reasons for this. There is some controversy about this stone, and the actions of those who named it. It has been discussed in depth by many people, so there is no point in me going into this as I prefer to think positively. 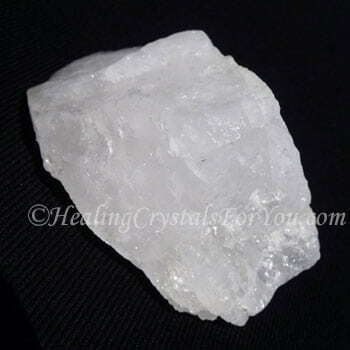 White Azeztulite® Quartz Crystal has now become quite well known, you should be able to find it quite easily. 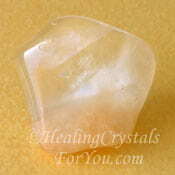 Some people do not feel its vibration at all, and like many varieties of white quartz, they can vary in intensity. "To confine our attention to terrestrial matters would limit the human spirit." Stephen Hawking. It does combine well with high crystal energy stones, including other types of quartz such as Herkimer Diamonds, Hollandite Quartz, Nirvana Quartz, Aurora Quartz also called Anandalite. Using it with some of the high vibration stones is a powerful way to utilize this energy. 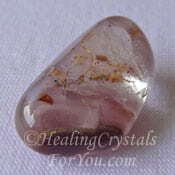 This is a dynamic stone to wear, and it is also powerful to use for healing. 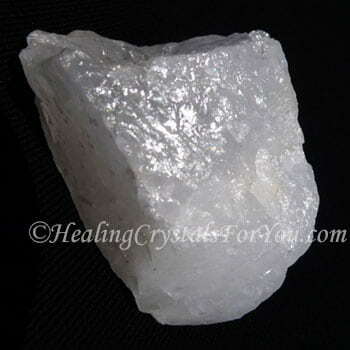 Many types of white and clear quartz crystals are also quite powerful for healing, just like this lovely stone. 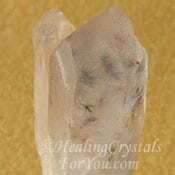 High crystal energy stones combined on a Selenite wand, are powerful tools. By combining high vibration stones this way, you are able to use them all at the same time easily and efficiently. 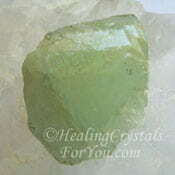 The energy of any stones that have a high crystal vibration are powerful for healing. 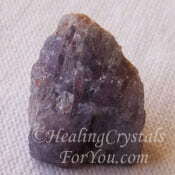 Another way to use this stone, which is very powerful is to sit with it in your daily meditation with crystals. Start by first using it on its own, and get used to the energy of this stone, and this may take some time. During meditation you may combine it with Amphibole Quartz, Nirvana Quartz, Creedite, Lithium in quartz, Axinite, Datolite or with the lovely Green Seraphinite. This combination may aid you to make contact with the Divine Feminine energy and with the angelic realm. Using these high vibration stones with Blizzard Stone also known as Gabro, helps to make you feel more stable and grounded when you are working in the higher realms. 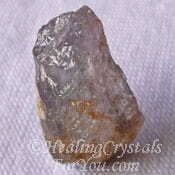 Used in meditation it can be combined with other stones, and the combined energy will be more powerful. 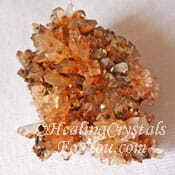 It is one of many stones that is said to aid ascension. 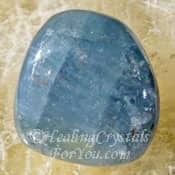 Once you are accustomed to this stones energy, combine it with a variety of other crystals, particularly the high vibration stones. You will find that they will boost your ability to create the highest and best result, for your overall physical, emotional and spiritual well-being.